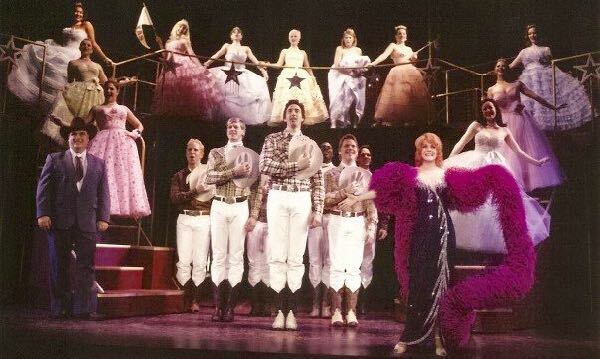 As TodayTix enters the Wild West in the great Texan cities of Dallas, Fort Worth, and Houston, we’ve decided to celebrate with a list of 5 great western musicals. These “west side stories” capture the heart of America with gusto. 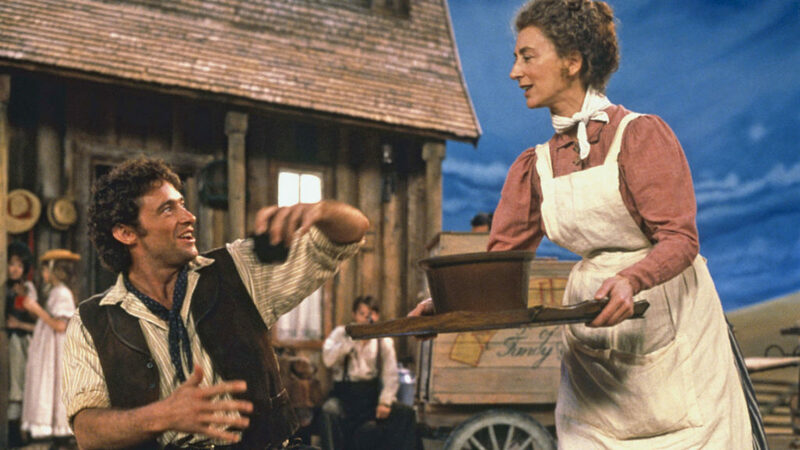 Here are some of our favorite musicals set in the American west! Be sure to check out all the shows available in Texas on TodayTix. One of the most often-produced musicals in the United States is the Rodgers and Hammerstein classic Oklahoma! Set in a small town in the “Sooner State” in early 20th century, it tells the story of a cowboy named Curly who falls in love with a beautiful farm girl, Laurey. The original Broadway production was an unprecedented smash hit. 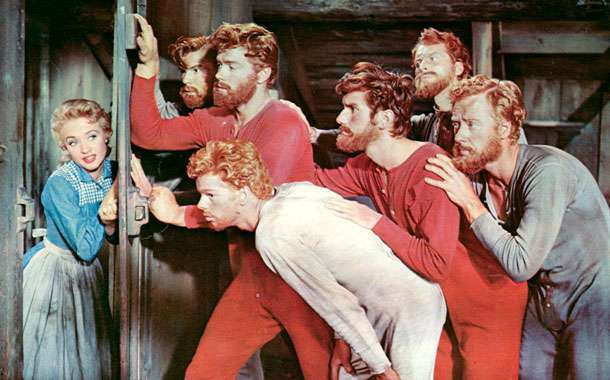 The musical was soon adapted into a popular film which won several Academy Awards. In a 1998 revival, a relatively unknown actor named Hugh Jackman starred as Curly, which brought him international acclaim. This ground-breaking musical set in the fictional town of Gilbert, Texas tells the story of a brothel and it’s owner, Miss Mona Stangley. When a television reporter decides to draw attention to the illegal operations, the women and a local sheriff must deal with the political ramifications. The original production of The Best Little Whorehouse in Texas earned 6 Tony Award nominations, winning two for Featured Actor and Actress (Henderson Forsythe and Carlin Glynn, respectively). A sequel to the original production entitled The Best Little Whorehouse Goes Public premiered in 1978, but didn’t last on Broadway for very long. 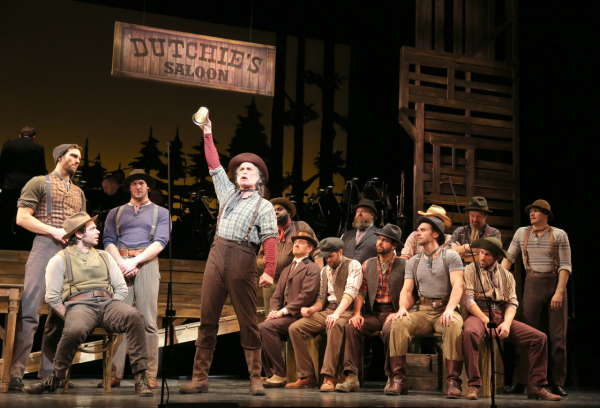 This musical comedy is set during the Gold Rush in California. In Paint Your Wagon, the daughter of an old prospector finds gold near their camp, causing their small town’s population to grow exponentially. The young woman ends up falling in love with a Mexican prospector, who must live outside the town because of his race. The musical ran on Broadway and the West End, and was later adapted into a film starring Lee Marvin, Clint Eastwood, and Jean Seberg. Jane Powell before it transferred to Broadway nearly 3 decades later. Do you have any favorite Western musicals that didn’t make the cut? Let us know on Facebook and Twitter.